Register Now!!! - Winter Is Now Open!! 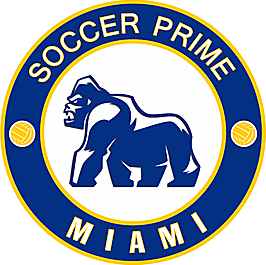 Welcome to Soccer Prime Miami! WINTER SEASON IS ONLINE NOW!!!! Soccer Prime was created for children to flourish in the ever growing sport of soccer. As growth in the United States and our youth system becomes even more crucial, Soccer Prime believes that it can be a huge impact in bridging the gap between non-competitive and competitive. Children who are looking to not only learn, but develop the critical and crucial skills of technical and tactical awareness. need motivation to achieve success, here at Soccer Prime we pride ourselves in teaching and mentoring each individual to reach their full potential. Soccer Prime ultimately boils down to bridging the gap and fine tuning children to becoming the very best in the sport. new levels that will make them stand out above the rest.